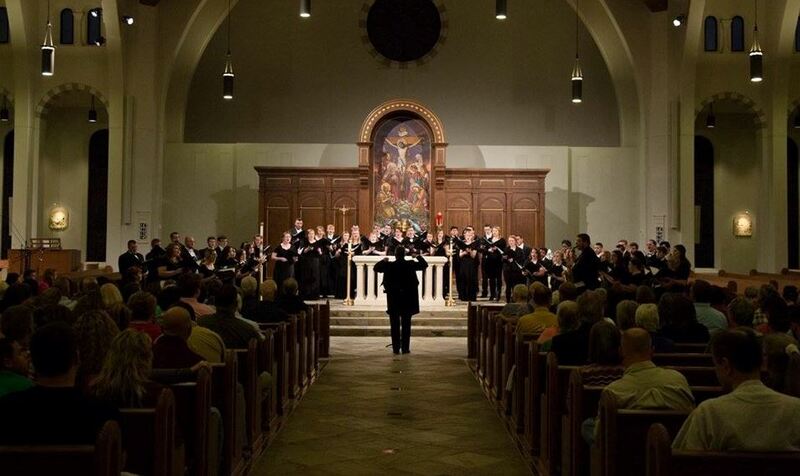 A spring choral concert featuring performances by a variety of Missouri Southern State University ensembles is set for 7 p.m. Thursday, May 4, at St. Mary’s Catholic Church, 3035 S. Central City Road. The concert will feature the MSSU Chamber Singers, Jazz Unlimited and the Concert Chorale, all under the direction of Dr. David Sharlow. It will include selections by Debussy and Paulus, as well as a guest performance by Lisa Gerstenkorn, a member of the university’s vocal faculty. The MSSU Men’s Chorus and Vox – an a cappella men’s ensemble comprised of MSSU singers – will perform at 7 p.m., with the main concert starting at 7:30 p.m.